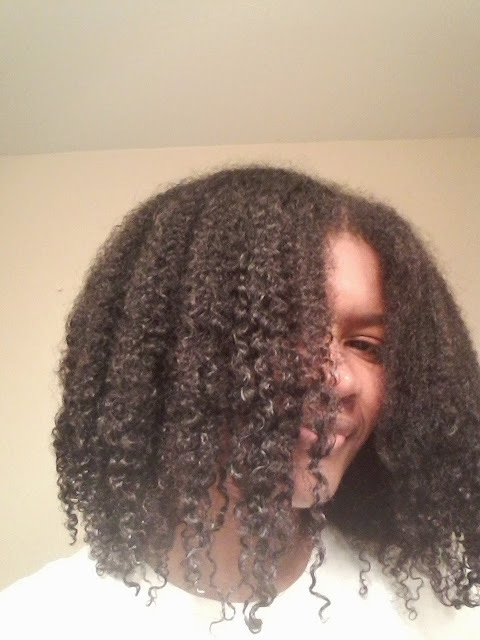 Three years natural! This month mark my 3 years "napversary" you can say I'm over the hype cause I totally forgot about it. My hair has been a top knot for a ridiculously long time and dryness and shedding is taking a toll on the curl. It got a bit desperate to a point not even my trusted Shea butter was working. So it's time to bring in the guns! 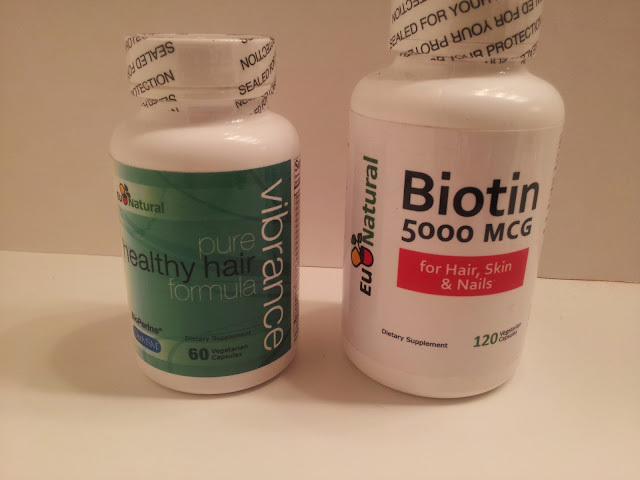 Just in time Eu Natural has sent me a generous bottle of Biotin and a bottle of healthy hair. I have never taken "hair vitamins" before, as a matter of fact I hardly take any vitamins supplement, maybe that's my problem. These supplements could not have arrived at a better time. I'm so excited to get Stella back to life, before an emotional scissors strike happen. The company that make these supplements is called EU Natural, the bottle contain 120 pills, white capsule packed with a power punch of 5000 MCG design to promote healthy hair, skin and nails. The capsule are completely vegetarian. 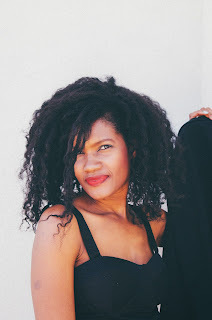 The vibrance Pure Healthy hair formula is more of the complete multi vitamins loaded with the either 100% or 50% daily values of vitamin A, C, D, E, B1, B2, B3, B6, B9, B12, H, BS, Iodine, selenium and copper. This is the state of my hair, I did a deep conditioning treatment, they started to look better but I still have tons of shedding. I have high hope for the biotin, the only thing I'm worried about the skin break out. I already have a lot of teenage hormones attacking me so I'm working on clearing them out, so I can blame them on the biotin. I really like that the capsule are relatively small compare to the normally huge vitamins pills. 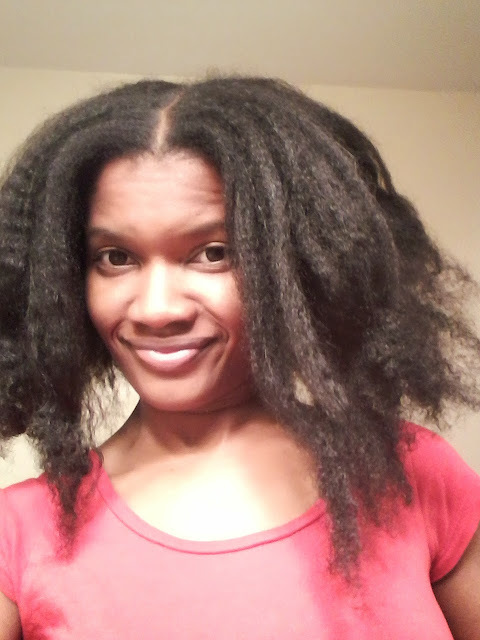 I will keep you guys inform on the hair and biotin experiment! Have you ever taken any biotin supplements?